We proudly present your top picks in the inaugural 2016 Best of California readers’ choice awards. California is a state accustomed to dispensing "Best of" accolades. After all, the Oscars, Emmys, Golden Globes and Grammys are all held here. Still, it’s a daunting task to single out the finest venues and service providers in the meetings and events industry amid our state’s surfeit of talent and innovation. That’s why we’ve relied on your expertise. Now, with reader votes tallied, here are the winners and runners-up in the 29 categories of our first-ever statewide Best of California awards. Wolfgang Puck Catering will show you why its namesake is one of the culinary world’s biggest giants. From an array of passed hors d’oeuvres, including croquettes and tiny tarts, latkes and mini bao buns, to elegant entrees and build-your-own dessert stations, each course is chock-full of global tastes. The company offers catering for off-site events or on-site at one of nine Los Angeles locations, including L.A. Live, Hollywood and Highland, and the historic El Rey Theatre. Whether you’re planning an intimate client gathering or hosting a crowd of thousands, Wolfgang Puck Catering’s expertly crafted seasonal menus are sure to impress. At Grace Street Catering, the dining experience is every bit as important as the food itself. The company’s philosophy of calm, casual, and organized elegance has landed it an impressive history of prestige events and clients. It has catered opera and ballet events at San Francisco City Hall, a gala dinner for Yo-Yo Ma at the Berkeley Art Museum, and premieres for HBO and Pixar. Grace Street Catering’s “winter evening of elegance” menu includes hors d’oeuvres like saffron shrimp in spoons, a first course of coriander seared duck breast, Pacific sea bass for the entrée and a dessert of prune Armagnac semifreddo. 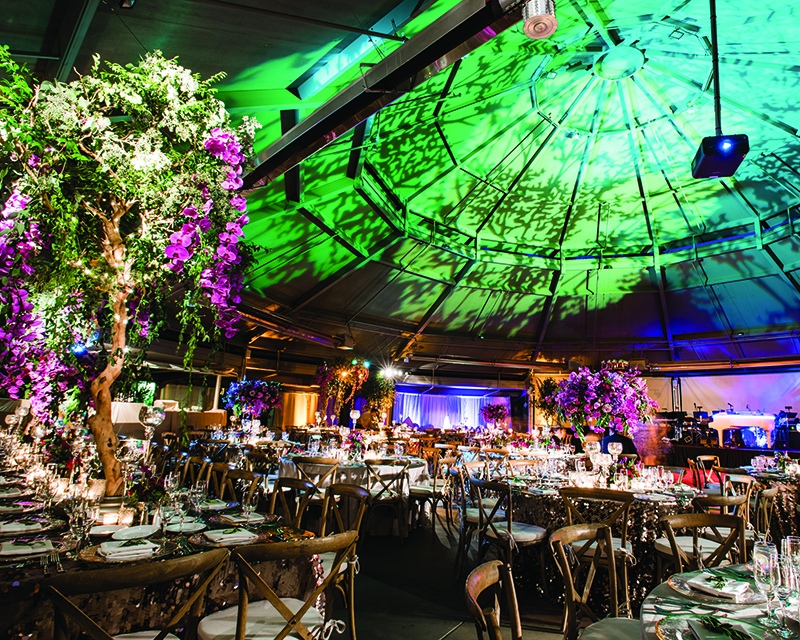 With immense Irvine-based production facilities and a shop at the Four Seasons Beverly Wilshire in Beverly Hills, Square Root Designs provides décor and floral options for events of all types and sizes. The company has worked with Mercedes, Merrill Lynch, and Bulgari; been featured on Bravo and HGTV; and its floral designs originally commissioned for the Ritz-Carlton Laguna Niguel are now the standard at the hotel group’s locations throughout the world. 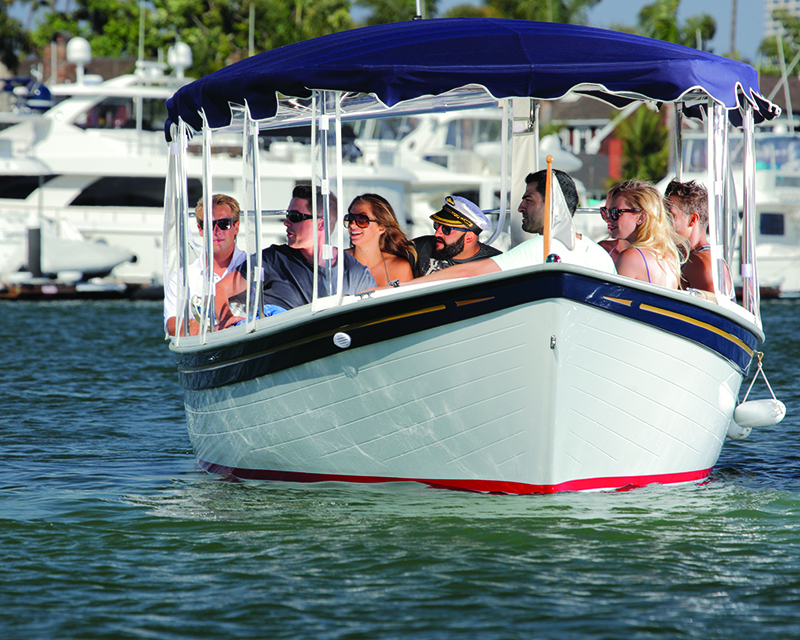 Fun comes in waves at the Duffy Electric Boat Company’s competitive scavenger hunt. Teams explore the Newport Harbor, deciphering clues and answering questions about local history and trivia. The winning team will win a small prize … and bragging rights. Best-VIP Chauffeured Worldwide has been serving Fortune 500 companies around the world for two decades. Its all-inclusive transportation options and fleet of 140 luxury vehicles are fitting for top execs, and its groups and meetings department staffers are pros at coordinating the logistics of the most challenging itineraries. For your next wild event, the San Diego Zoo and San Diego Zoo Safari Park offers 14 venues for groups of 25 to 5,000 people—and guarantees that guests will have a roaring good time. Groups can picnic near waterfalls, take behind-the-scenes tours of giraffe or tiger enclosures, enjoy progressive dinners at different stations throughout the zoo and participate in an enrichment program where companies build toys for the animals. Adventure is year-round in Mammoth Lakes. With the stunning Eastern Sierra mountains, lakes, and rolling valleys, locals and visitors alike have the opportunity to hike, fish, bike, and ski. You might want to align your group visit with annual events like the Festival of Beers, Bluesapalooza and the Mammoth Food and Wine Experience. Records were shattered in 2015 with more than 45.6 million visitors flocking to California’s most culturally diverse and largest city. To meet the growing demand for meeting and event space, Los Angeles is undergoing several multimillion-dollar renovation and expansion projects, including the modernization of the Los Angeles Convention Center and the addition of over 9,000 hotel rooms by 2018. A prime meeting destination thanks to its endless sunshine and beaches, San Diego is also home to 90 museums and historic sites and a cuisine and craft beer culture ranked among the best in the country. Some of the city’s notable special events include ComicCon International and the KAABOO Del Mar luxury music, food and art festival. The 2.6 million-square-foot San Diego Convention Center is a haven for 800,000 annual visitors from over 200 countries and self-governing territories. Large 2016 events included the Environmental Systems Research Institute (ESRI) annual user conference (16,000 attendees) and LightFair International (28,000 attendees). Fun facts» in a typical year, convention center guests consume over 880,672 cups of coffee and 73,406 box lunches. Set on 102 oceanfront acres and situated halfway between Los Angeles and Long Beach, this 582-room luxury resort has more than enough to keep groups blissful for days. That includes eight dining experiences, a fullservice space spa, award-winning golf, four swimming pools and ecological enrichment programs. There is also 60,000 square feet of flexible indoor meeting space and 75,000 square feet of jaw-dropping event space on the bluffs overlooking the Pacific. Team-building events include outdoor scavenger hunt, glowat-night lawn games and hermit crab racing. A true desert oasis, the Miramonte Indian Wells Resort & Spa is an AAA Four Diamond resort with boutique-like charm. Groups of up to 500 can enjoy over 35,000 square feet of indoor and outdoor event facilities that offer exquisite desert sunrises and sunsets over the Santa Rosa Mountain range and surrounding Palm Springs area. While staying at the resort, groups can partake in desert adventure Jeep tours, celebrity home tours, modernism architecture tours and hiking at the Palm Springs Aerial Tramway. Get down to business at the Hilton San Diego Bayfront, located steps from the San Diego Convention Center. Boasting 165,000 square feet of flexible meeting and event space, the hotel features the highest ratio of meeting space to hotel rooms (with 1,190 spacious guest rooms), as well as the largest pillar-free ballroom in the city. For groups looking to enjoy the San Diego sunshine, consider hosting an event on the vibrant 4.3-acre Bayfront Park or 10,000-square-foot Promenade Event Plaza. Your guests don’t need to be wine lovers to enjoy drinking in the views at Silverado Vineyards, which is set atop a rocky knoll in the heart of the celebrated Stags Leap District. Group experiences include wine-education lunches, private tastings, receptions and dinners, teambuilding activities and cooking classes. The Silverado Room, which is also available for meetings and conferences, can accommodate 100 guests; the Terrace an additional 50. San Diego has become one of the country’s best cities for craft beer, and the revered Stone Brewing is one of the chief reasons for that. 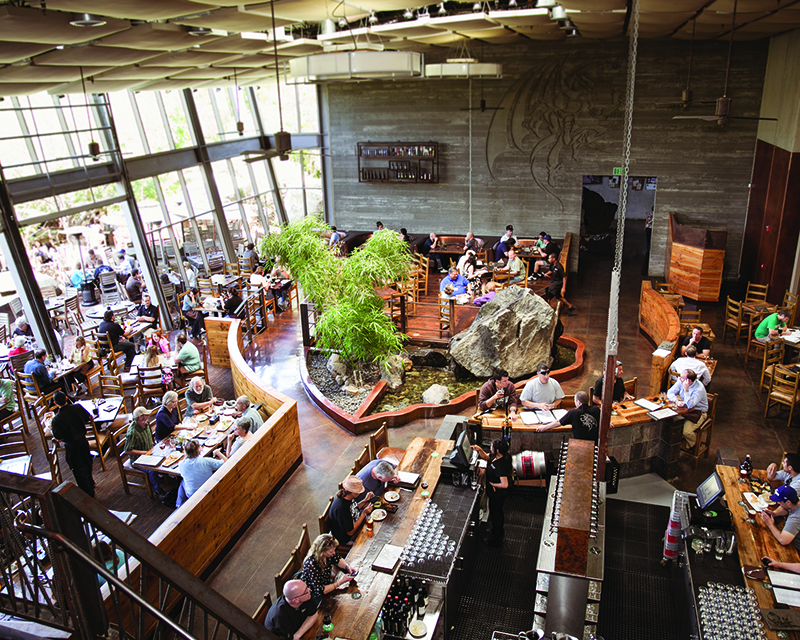 Sample Stone’s signature IPA, other yearround releases, seasonals and exclusive special releases at two Stone Brewing World Bistro & Gardens locations in San Diego County. Their eclectic menu selections pair perfectly with the beers, and meeting spaces—which can accommodate up to 730 people in a divided space or 400 in the largest fluid space—ensure that there’s room for everybody. 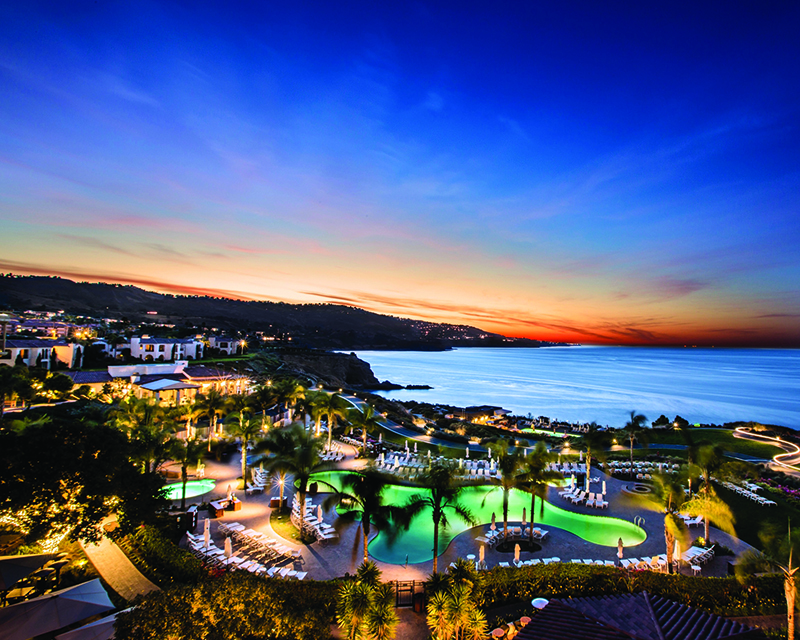 At the 250-room Montage Laguna Beach, the breathtaking oceanfront and 160-degree vista views can provide a stunning event backdrop or take center stage. To facilitate the best use of this luxurious property, which includes a 20,000-square-foot spa, three signature restaurants, two pool decks, and 16,000 square feet of indoor and outdoor event space, the hotel provides a dedicated meetings concierge and full-service business center. Hilton La Jolla Torrey Pines sits on the famous Torrey Pines Golf Course, which features two 18-hole courses and will host the 2021 U.S. Open. Many of the holes on the South Course provide direct views of the Pacific Ocean, 100 yards below, while other holes overlook deep ravines. The North Coast has several holes that sit on the bluffs, with sweeping views of the coastline. 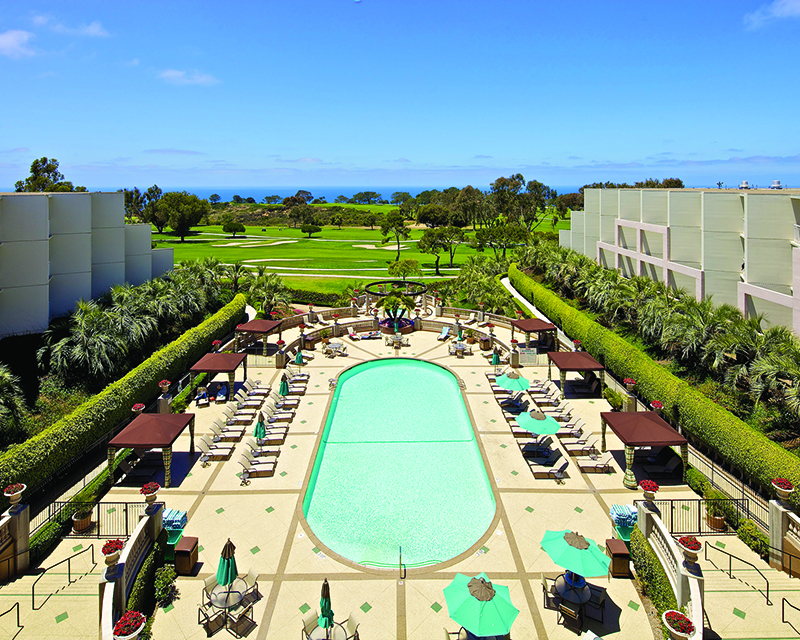 The Hilton La Jolla Torrey Pines Fairway and Parterre Gardens are both perched in front of the golf course and can accommodate up to 500 and 820 guests, respectively. In all, the 394-room resort offers just over 60,000 square feet of indoor event space. Scrub away stress at Coronado Island Marriott Resort & Spa, which boasts a luxurious 5,500-square-foot spa facility that opened in May 2016. With 10 treatment rooms, co-ed relaxation room and an outdoor spa garden, the property offers an extensive menu of pampering. Things stay chill even when the treatment ends. After all, this is an island resort—all 16 scenic waterfront acres—even if downtown San Diego is just minutes away. Home to 15 museums as well as multiple performing arts venues, gardens and the worldfamous San Diego Zoo, the renowned Balboa Park offers no shortage of spaces for your next big event. Dine with dinosaurs at the San Diego Natural History Museum, operate flight simulators at the San Diego Air & Space Museum, or drink cocktails beneath towering sculptures in The San Diego Museum of Art’s May S. Marcy Sculpture Court & Garden. The challenge here isn’t finding your next event destination: it’s narrowing it down. No matter what kind of act you need for your next corporate shindig, MG Music Events has a pitch-perfect solution. The company’s talent stable includes DJs, bands, opera singers, acrobats, celebrity look-alikes and magicians, among many other performers. So regardless of the size or type of your event, you can be confident your guests will be thoroughly entertained. The Santa Barbara-based Baron Erik Spafford has spent the past 25 years capturing corporate events across the globe for clients like American Express, IBM and General Motors. With an artistic and keen eye, Spafford hones in on the elements that are unique to each event in order to produce photographs that truly capture what’s singular about your gathering. Since its opening in August 2015, The Garland’s all-new outdoor venue, Beverly Park, has hosted events for entertainment, technology and retail clients. 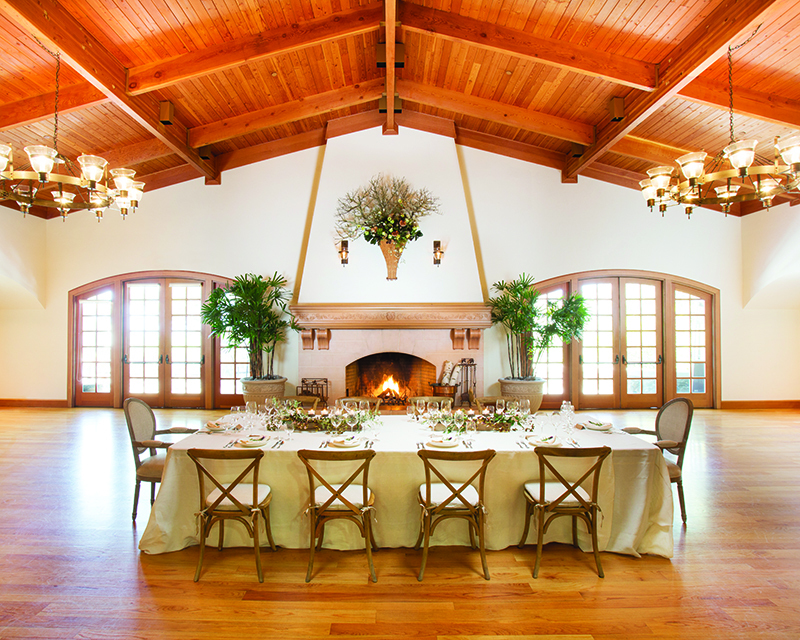 The idyllic and rustic park is adorned with a refined stone fountain, cozy fireplace, and towering sycamore trees and can accommodate up to 500 guests for a reception, 300 for a seated dinner. The crafted cocktails flow until 11 p.m. on weekdays and 1 a.m. on weekends at the Island Hotel’s Aqua Lounge. DJs, tableside mixology and a menu of gourmet sharable bites add to the fun. JP Morgan, PIMCO and Pacific Life are just three of the groups that have taken advantage of the lounge’s indoor and outdoor spaces, which include an open wooden deck with views of the hotel’s fireside terrace and pool. The Aqua Lounge and patio space can accommodate groups of up to 250. 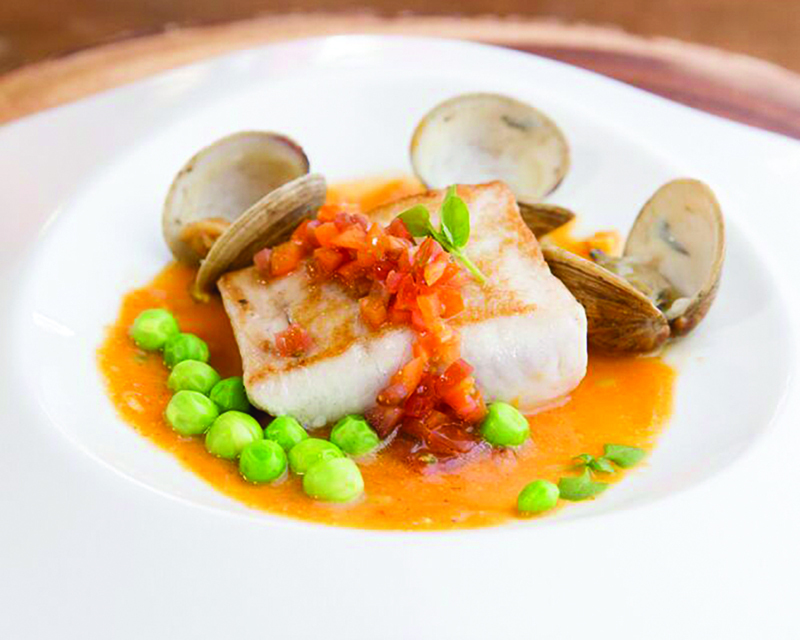 Experience an ocean of flavor at Studio, Montage Laguna Beach’s signature restaurant serving modern French cuisine with California influences. Groups of up to 12 can reserve the Chef’s Table, and get personal attention from acclaimed executive chef Craig Strong, while the restaurant’s private dining room accommodates up to 30 guests. Talented sommeliers are on-hand to offer pairing suggestions from Studio’s collection of more than 2,500 wine selections. Hit a home run with your next corporate event by booking Petco Park, located in the heart of bustling downtown San Diego, directly across the street from the convention center. Groups can experience intimate dinners and receptions in the clubhouses, historic Western Metal Supply Co. Building, and playing field; pre-Padres game receptions in the “Park at the Park,” and concerts, festivals, fantasy baseball and movie screenings on the ball field. 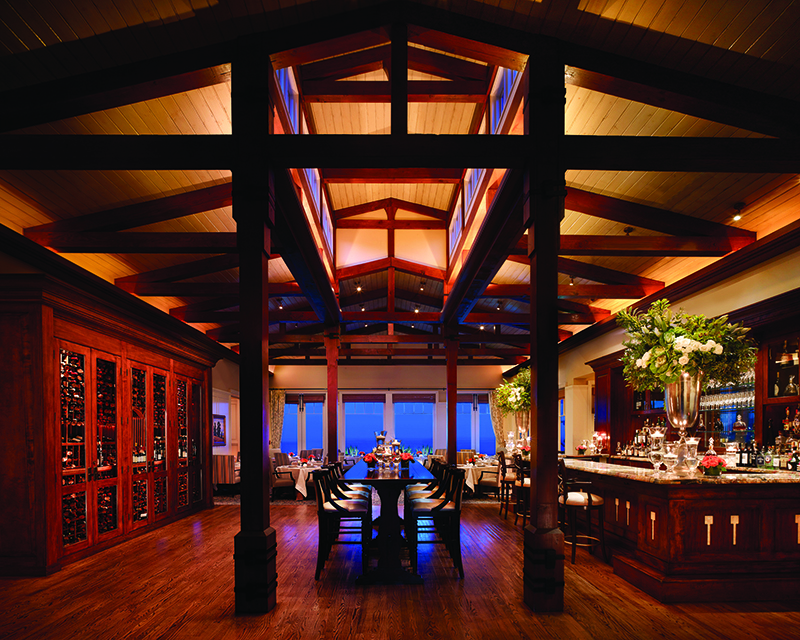 From holiday galas in the Grand Ballroom to intimate dinners in the nautical-inspired Waterline restaurant, Balboa Bay Resort offers businesses just the right amount of cheer during the holidays. Groups can also take in the dazzling lights of the annual Newport Beach Christmas Boat Parade from the resort’s A&O Kitchen+Bar, an inviting waterfront gastropub with rustic wood floors, reclaimed barn siding walls, communal dining tables, and an ironclad bar tap overlooking the harbor. Lap up the laid-back luxury of Paséa Hotel & Spa, the newest addition to the Meritage Collection’s luxury hotels. The 250-room hotel boasts a Balinese-inspired spa, signature restaurant, “treehouse bar,” and more than 34,600-square-feet of event space. 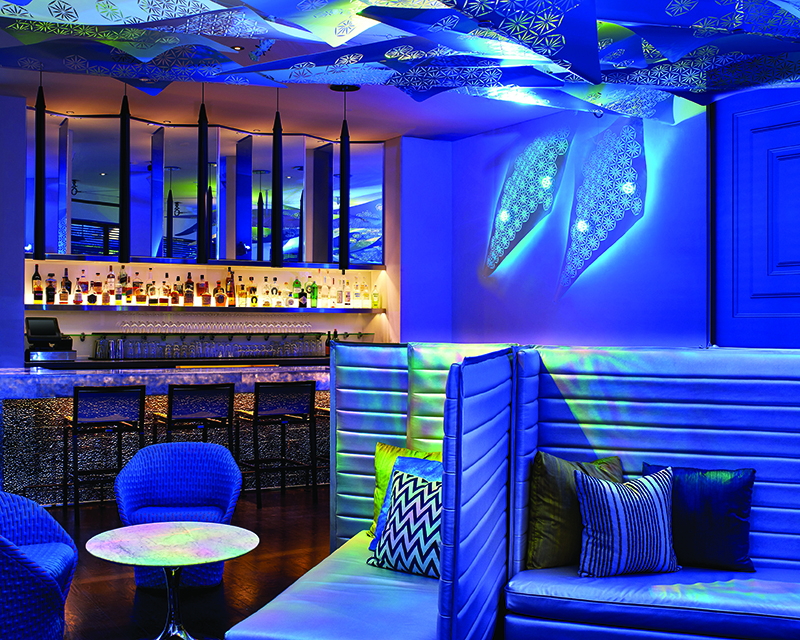 Groups of up to 250 can enjoy the Blue Room’s unique built-in bar, terrace and custom fire pits. Become transfixed by the W Los Angeles’ transformation, completed in May 2015. The $25 million renovation by Dawson Design Associates included refreshing the hotel’s 297 suites, six meeting and event spaces, the W Living Room and Living Room Bar, and the addition of a new destination restaurant, STK Los Angeles. The redesign draws inspiration from the iconic bungalows of Beverly Hills, creating an engaging luxury experience that captures the iconic Los Angeles intrigue.